Are you seeking your life’s path? Do you acknowledge that you are a Spiritual Being having a human experience? Do you find yourself searching for your life’s path? Transpersonal Hypnotherapy focuses on helping you discover insights of your inner most mind. Often, people tell me how difficult it is to meditate because they have trouble quieting the mind. The truth is the mind was really never built to be quiet. It was built to think. Using hypnotherapy techniques, you can learn how to focus on one thought, and by hypnosis, relax the body and then the mind to help you discover deeper levels of meditation. Meditation is the Spirit's way of connecting with the mind. 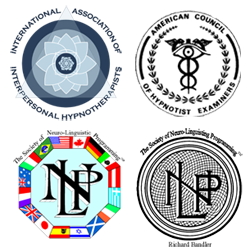 Transpersonal Hypnotherapy brings wonderful tools to help develop the spiritual aspect of you. Bringing more awareness of your nature to your conscious mind is the foundation for living in the balance of body, mind and spirit.